A strange political fight is happening in Ghana within the ruling party, the National Patriotic Party, NPP, over who ha power to give contracts. 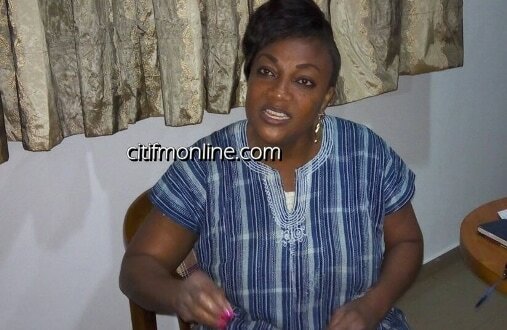 The fight is between Otiko Djaba, the Minister for Gender, Women and Children's Affairs and Daniel Bugri Naabu, the ruling party's chairman in the Northern Region of the country. The fight for control between the minister and the Northern Region chairman of the ruling party is exposing a dirty linen, with the minister spitting fire. Apparently, the minister has accused the party's Northern Region's chairman of overt influence, over political patronage, such as who gets political appointments or contracts. Minster Djaba has accused Chairman Naabu of giving government jobs in exchange for cows and goats. According to a news report by Ghanaweb, Djaba accused Naabu of having influenced the appointment of Council of State's representative from the Northern Region, during an interview with North Star FM at Tamale. Djaba's outburst on radio reportedly followed an alleged storming and disruption of a meeting between Djaba and some women at the Modern City Hotel on Friday. The reason for Naabu's disruption of the meeting at the hotel seemed to have stemmed from his suspicion of Djaba's involvement in school feeding program, because she is reported to have explained that her presence in the region is a visit to address certain health issues and it has no connection with school feeding program. She accuses Naabu of throwing his weight around on feeding matters and that naabu is is behaving like he is control of everything, accusing her of planning to give the school feeding to someone. Djaba accuses Naabu that because he has a plan to give the school feeding to an unnamed woman and to ensure the promise does not fail, he is out to avert her interference. “I don’t know why Chairman Bugri wants to lie and use me as a cover-up for his problems. I want Chairman Bugri to understand. Whatever it is that is making him do the things he is doing; he should be very careful. I am the last person he wants to have trouble with. He should respect himself and stop lying about me. He cannot appoint school feeding people. He is not the only one in the region. He wants to be the one to appoint these people; for the Council of Elders and who and who,” Djaba was quoted, with words to Naabu to give back to owners, cows and goats that he has been collecting from for political patronage. Djaba urges Naabu to desist from telling lies about her and to stop taking bribes from people for jobs he does not have the means to guarantee. "When he goes and does that, after he has collected their money and their cows and goats, then he will come and put the trouble on Otiko (meaning Djaba)." She said she will not accept it and that If Naabu wants trouble from her, she promises him the trouble. Alas, the Ghanaweb fails to get Naabu's side of the story! And the Ghana's CityFMOnline, the original source of the story about Djaba's radio interview has also failed to get Naabu's side of the story. It will not just be a balancing act to get Naabu's side of the story, but posterity demands that since it takes two to tango, both Djaba and Naabu, should have been equally represented. It is the rule of Journalism.